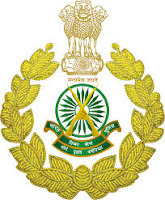 Basic Info About this ITBP Recruitment 2019: ITBP is stand for “Indo-Tibetan Border Police”. This department under ministry of Defence is looking to recruit energetic young professional candidates as a Medical officers. For the completion of this recruitment task department issued an official notification in which they shared the completed process related to the recruitment of Super Specialist Medical Officer, Specialist Medical Officer & Medical Officer vacancies in CAPF. Those Applicants who are concerned in the vacancy details & accomplished all suitability standards can read the Notification & Apply Online. We also share the full detail related to this ITBP Recruitment process below in this job posting. So read it carefully till the end before applying. · Payment Approach: Contenders have to pay the overhead application fee through Online method only. ü 2nd April 2019 is the Opening Date to Apply online. ü 1st May 2019 is the End Date to Apply. PG Degree/ Diploma with appropriate practice.